Dahab in Egypt is famous for it's scuba diving, with thousands of divers heading there all year (yes, Egypt is safe). But if you only have a short time there which dive sites should be on top of your list? We are the Girls that Scuba members for their best recommendations for diving in Dahab! The Canyon or "Canyon" dive site might just be one of Dahab's most famous and popular sites. Up to 10 meters high and virtually closed over at the top, it snakes its way up from the depths, to emerge in a large glassfish filled coral dome. The Canyon dive site offers an easy entry and exit point through a shallow, sandy lagoon. This leads out to beautiful coral gardens inhabited by Butterflyfishes, Unicornfishes, Octopus, Pufferfish and of course Red Sea Anthias, which can only be fully explored after several visits. The Canyon itself is positioned about five minutes north-east from the exit of the lagoon. The entry to the Canyon is done through it largest point at about 20 meters. Some divers come to Dahab for one reason; to dive the Blue Hole. A large vein of rock that has eroded out leaving a deep gash in the reef that drops to 45 metres formed where a deep groove cuts into the reef top just north of the Blue Hole. The groove of the Bells breaches the reef table and a clear blue pool is formed; this is where the dive is started. As you drop through this pool, you will emerge on the reef wall at about 12 meters. The groove disappears to re-emerge deeper at 28 meters. The open water here is some of the clearest, deepest blue you will see. The wall itself descends down into the blue to over 200m which only adds to the anticipation experienced when emerging through the chimney. It is vertical and in parts overhanging, with a rich growth of black corals and sea fans. This wall dive ends when you enter the Blue Hole through a shallow saddle and exit. Within the last 7 years I have visited #Egypt 3 times, during that period I have been lucky enough to #scubadive hundreds and hundreds of times, in some of the 'top destinations in the world'. Yet, still, #Egypt to me holds my best dive moment and memories. The #RedSea restores my faith in the ocean, and shows me there are still people fighting to keep it beautiful! The beginning of the dive is a line of three coral-formed pools with sandy bottoms, after crossing the pools the dive is continued through a labyrinth of hard corals exiting from the north, the dive continues alongside two big coral islands with a maximum depth of 16 meters. By the outer side of the islands, you can make a small but nice drift dive along the current. There are always a group of small barracudas and napoleon fish in between the two islands. The exit point is a small 2 meter deep tunnel where you can find a couple of lion fish relaxing inside. This dive is special because of the day long sun shine and reflection of light, so when divers talk about “divers heaven” this is it. This dive site has an average depth of 30m/100ft and visibility around 30m/100ft suits divers of all experience levels. Diving here is often started with a sandy slope that descends from the shore with the reef wall starting on both sides. Lots of pinnacles, dramatic rock formations and a various marine life can be explored at this dive site. The northern side of the site is famous for its coral gardens. 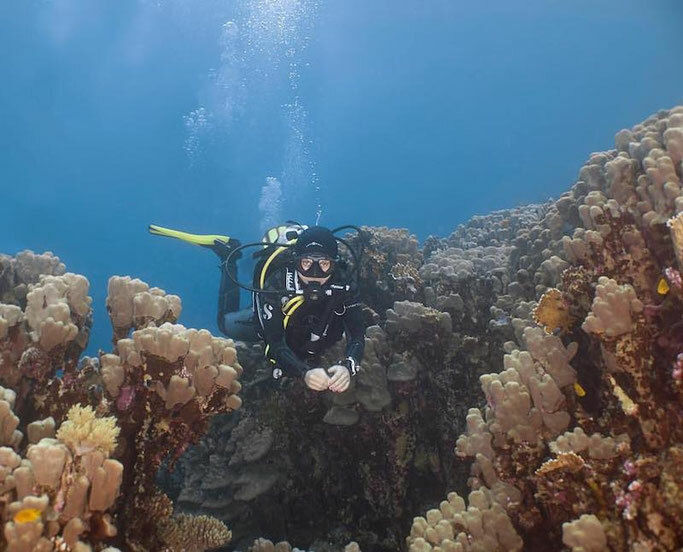 South of Dahab this beautiful shore dive offers the chance to see an abundance of stony coral, including yellow waver and raspberry coral. Clownfish, morays, nudibranchs and scorpion fish are always encountered and often rarer species are seen too. Be sure to go through the shallow sandy patch known for the yellow tail barracudas that patrol the site and make for great photographs. This area is an underwater photographers dream, with the sandy bottom making an easy background for a great photo. Located in the Southern Oasis, two hard coral towers of golden colour give the site its name. Descend over a sandy slope, diving above an extensive area of sea grass on the right at a depth of 16 -20 metres you will then reach the golden block towers marked by a big gorgonian at 18 metres. The dive is made up of sandy slopes and coral blocks and can be done as a loop back to the entrance or as a drift dive. You'll most likely end up here on your first dive in Dahab! 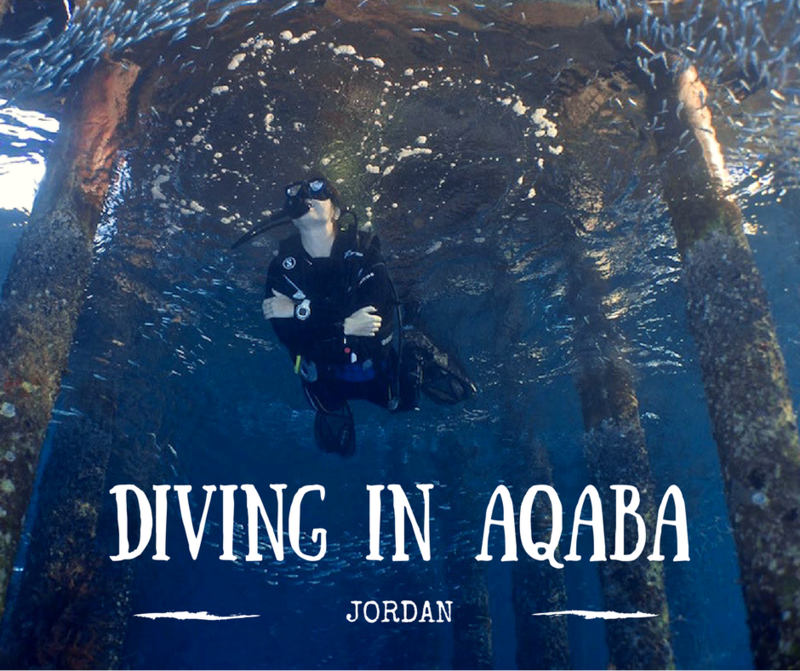 A great place to freshen up your dive skills or start your courses - just a couple of footsteps away from the main streets of Dahab. Always full of students, it will be your entry point to further out dive sites once qualified. There is a cool elephant statue and other props to see underwater and even a resident turtle in the summer months. This dive site starts with a series of three natural pools with a sandy bottom. Starting the dive at high tide makes it easier to pass from one pool to another. After exploring the third pool, exit into open water. Once out into open water you will find a hard coral slope with massive pore corals and small pinnacles between which you can find salad corals and brain corals. Descend to a depth of 15 / 20 metres and circle a sandy plateau while keeping the reef on your left. End the dive by coming back to your starting point or if sea conditions and available remaining air permit, drift to Moray Garden in a gorgeous shallow lagoon. Great site for training dives and divers interested in photography and marine biology! The patches of coral are covered in fish and the sea grass is home to sea horses, pipe fish and many small rarities. There are also car tyres and clay pots which make a great home for small fish, eels, anemones and octopus. There is even a coral encrusted car wreck, which is a testament to how nature can reclaim the alien and destructive, as its own. 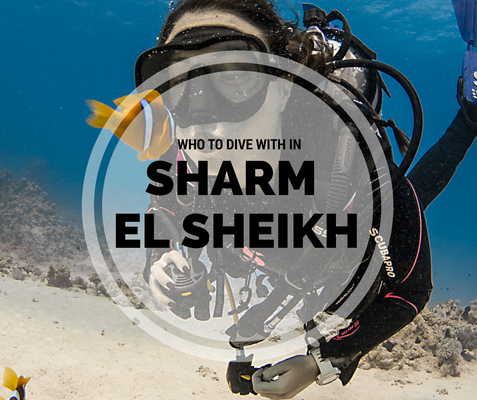 Don't forget to also go and dive in Sharm el Sheik while you are in Dahab and visit the famous Thistlegorm wreck and Tiran island!